Mitsubishi Motors Corporation (MMC) announced its decision to participate in the CARS Program (Comprehensive Automotive Resurgence Strategy Program). “Mitsubishi Motors has been engaged in production and sales business in the Philippines for over 50 years. The Philippines is one of the most important markets for us. It is indeed a great pleasure for Mitsubishi Motors to be able to contribute to the automotive industry of the Philippines facing a new development phase and also further make contribution to the economic growth of the Philippines even in the slightest terms”, said Mr. Osamu Masuko, Chairman and CEO of Mitsubishi Motors Corporation during the press conference. 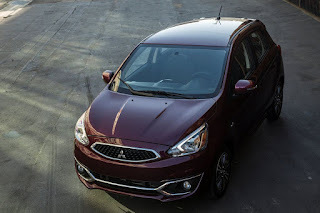 Upon approval for joining the CARS Program, MMC will expand its local production operation in the Philippines by starting production of the Mirage and Mirage G4 from the beginning of 2017 at Mitsubishi Motors Philippines Corporation’s Santa Rosa plant in Laguna. Along with initiating production of the two models, MMC plans an initial investment at MMPC of over PHP 4.3 billion (approximately 10.4 billion Japanese Yen) which includes investment on a new stamping plant. MMC will then further expand investment as well as employment at MMPC in line with production capacity expansion. will this translate to a cheaper srp/more affordable? ^Not right away but in the long run it will improve the manufacturing sector, and eventually the enrolled models will become competitively priced compared to CBU imports. I just hope the CARS program and MMPC will become successful. They should update the design of ASX too. MMPC should also consider building their cashcows, the Strada & Montero Sport platform here also. Maybe rethink a Fuzion successor with a diesel engine.